Our T-Bone steaks are cut directly out of a yearling calf. Our red meat is always “hanging fresh” and never boxed. 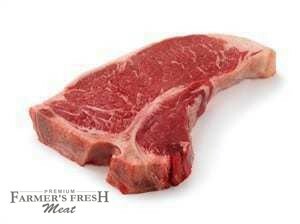 All of our steaks, including our famous T-Bones, are hormone and antibiotic free with no preservatives.